Are you looking around for tents for sale to create a semi-permanent structure for covering, or simply because you prefer to own rather than hire Look no further than Tentsforsale.mobi we stock Superior quality tents made with only premium quality materials. We produce unique and custom-build tents for permanent and temporary structures used across a wide spectrum of market sectors which includes events and hospitality, sports, military, corporate branding and catering hiring sectors to meet customer’s needs, we always maintain world-class tents standard to value our customer’s money. We use the latest technologies when we manufacturing our marquee and tents to ensure quality, like stretch tents, canvas tents, frame tents, alpine tents, peg and pole tents, aluminium tents, pagoda tents and more..
Tents for Sale brings to you the ultimate tent journey along manufacturing to supplying. Since the beginning of the company, we have grown to be one of the very few specialized tent companies by investing in the latest tent technology to fulfil our client’s wishes. 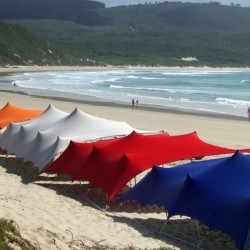 We have structured our company for success and directed ourselves on continuously improving our products and services, and as a result have become one of the largest tent companies in South Africa over the years. We focus on the small details to produce incredibly successful events and satisfied customers. Our company is equipped to incorporate the entire experience from resources to sales and even thereafter. Many underestimate the importance that tents have in one’s life and the purpose it serves is barely acknowledged, however, one must realise that tents are not made solely for the reason of decorating and accessorizing the appearance of the tent, its primary purpose is to act as shelter and protect its inhabitants. 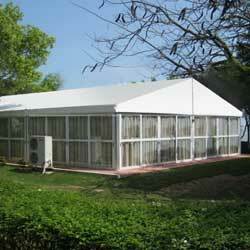 Our tents are made out of the best resources as we ensure total quality management is taking place. Multi-functional: Our tents can be used on many different coverings, including moveable assets or sloped areas like hills.. Secure: Our tents are fire retardant and comply with International Fire Regulations, so you are safe in the knowledge that it can be pitched wherever you need it. Easy to use: Our tents are easy to pitch and take down. It also stored very easily, which is great when you decide to buy a tent for continued use and have to store it in in your own capacity. Adaptable: With the addition of sidewalls, you can now utilise your tent into a completely adaptable space that can be increased, closed up or cordoned off according to your individual requirements. 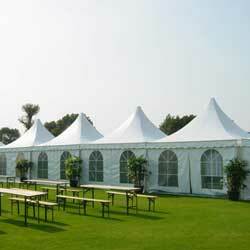 For further information on tents for sale, get in touch with our expert sales team. They know their product inside out and will able to help you with any questions you may have. Get in touch today to secure an obligation-free quote, and take the first step towards a fuss-free buying experience.